This past week I was lucky enough to be invited by The Farm Table to a tapas style tasting complete with wine pairings at a quaint little place in RVA called C'est Le Vin, an old world feeling wine bar, wine store, restaurant and art gallery rolled into one. This happened to be a five course tasting and in my opinion the roasted mushrooms that were served were the star of the show! 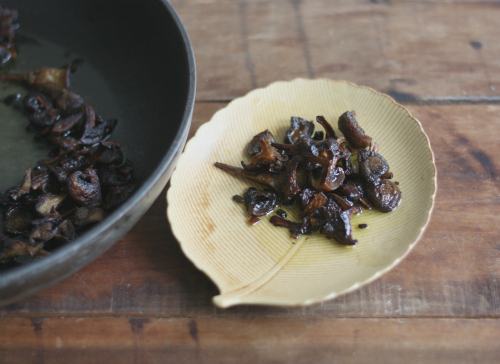 What's so amazing about this is I like mushrooms but am a very picky mushroom eater. There are more ways that I do not like them than I do. One of the ways I do like them is actually a recipe my father came up with one day that I will share at a later time. 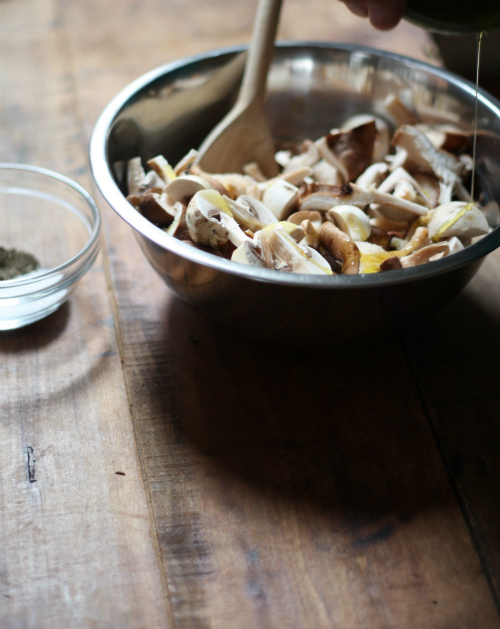 All of this being said — on Wednesday night Head Chef, Carly Herring, of C'est Le Vin changed my mushroom world. She generously provided me with the recipe a couple days after the event and I couldn't wait to get this on my plate in the E.A.T. kitchen! Please note: I have shared the recipe exactly as she has passed it to me and I will instruct you as she did me — the secret is to read the ENTIRE recipe including the notes before starting. Enjoy! 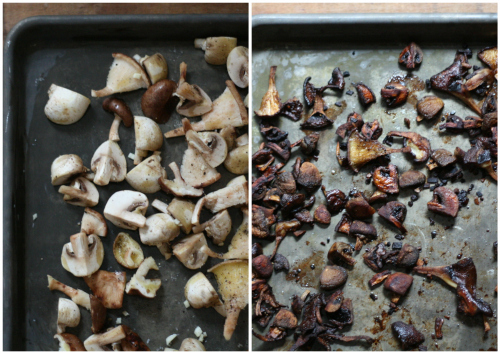 Preheat the oven and a sheet pan (cookie sheet) to 400 degrees. 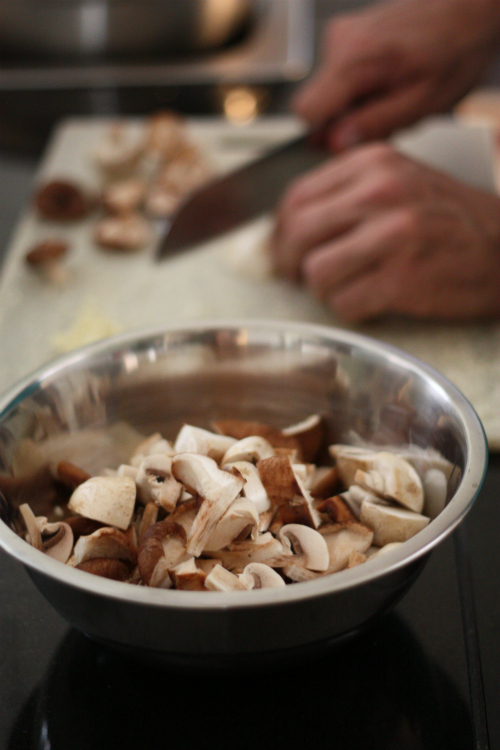 Trim the stems of the mushrooms and quarter. 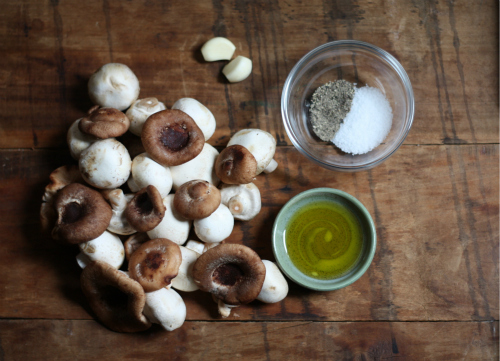 Toss with the salt, pepper, garlic, and first measure of oil (2Tbsp). Continue roasting, checking frequently, until the pan is dry. Remove and cool to room temperature. Refrigerate until ready to use. 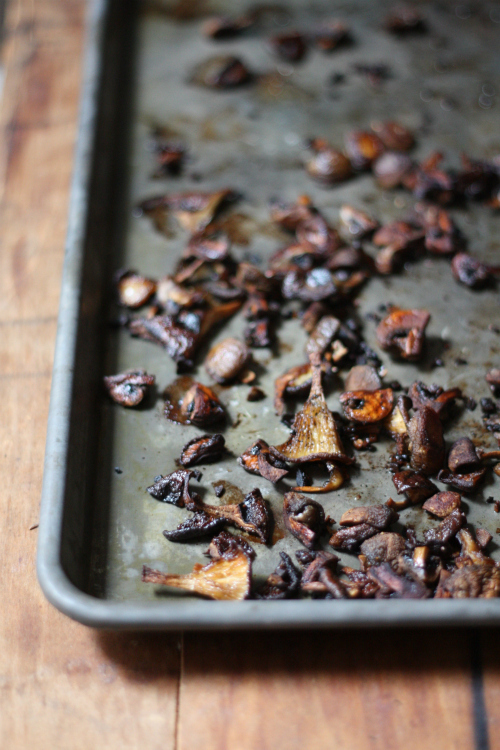 until the mushrooms are all sizzling around the edges. Serve, oil and all. Crusty bread may be added for sopping. Remember the secret to the recipe!